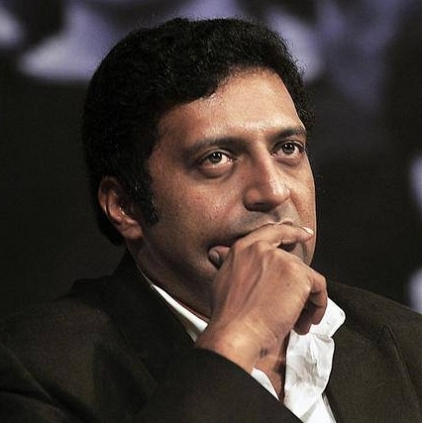 ''I AM FED UP WITH TAMIL CINEMA'', PRAKASH RAJ FURIOUS! Prakash Raj, who is contesting for the Vice President's post in the Producers Council election, poured out all his emotions during his speech at yesterday's (5th March) press meet. He said, "I have made 20 films till now. I know how to make good cinema, but when I want to take that film to the common audience, the Producers Council has left me stranded on the road. They didn't even care to help me. I am an actor; I act in many languages; I get paid every day; all agreed, but I am here only because I am fed up with Tamil cinema. That is why I am contesting in this election. We have produced films; we know how to promote the movie and how to reach it out to public. But in these last ten years, the current office bearers have done nothing. We are all lucky producers who just survived. There are lots of producers out there who haven't. We can't let this happen again. What can be done to stop this? That is when we decided to step in and work for it. Same situation happened during the Nadigar Sangam elections when the previous management was very lazy to do anything. Now, they complain that I am a Kannadiga. I tell you one thing. Tamil cinema is a place which has welcomed many people from various languages. Kollywood is the Kasi of cinema. What right do you have, to frame me as a Kannadiga? You cannot speak Tamil as fluent as me and you do not know the Tamil literature like how I know. How can you just say like that? We know about a producer's problem. We are coming. We will win the elections. We want to make all the producers realize that the current management has been lazy for the past ten years, without doing anything. Only when there is a change, there will be a new path and a solution. We have come with sensible thoughts and goals. We know cinema. We know the work pattern. We know how it is to be a producer, apart from being actors and directors. Then, what is the problem? They accuse us by asking questions like, 'Are you a Tamilian? ', 'Do you belong to this caste?' Aren't these lame accusations? Vishal and I are not just actors; we are producers too. Let it be Vishal, Gautham Menon, Mysskin, Sundar.C, Parthiepan; we are not accused of corruption; we are not accused of being lazy; these qualities are enough for us to win the elections. Don't waste time complaining and accusing us. There is one person, who is contesting for the President's post. He is asking about my qualities as a producer. But he is the one who is acting/faking as a producer. He has just produced one film, which too with the help of money, he has got the censor certificate of that movie. He is qualified to contest the elections, but not me who has made 20 films??? Is it you or me, who will know the real pain of a producer? We are straightforward. Producers are matured people, who have undergone so much of pain. So, they will go only by their heart and vote for the rightful people. As Vishal said, in a year's time, we will fulfill all our promises. And Press, we need your support as always. Thank you." People looking for online information on Prakash Raj, Producers Council Election will find this news story useful.